BE WARY! ....WHO HAS ACCESS TO YOUR FUNERAL BOND? eziFunerals is Australia's largest funeral planning and bidding platform that supports individuals and families cope with end of life decisions, death and funerals. We are an independent, Australian-owned and operated company. We are not a subsidiary of any other corporation. We are not part of any other funeral company. 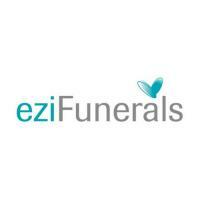 Founded by consumers frustrated by how difficult it was to get independent information, eziFunerals supports consumers plan a funeral, compare prices and select the right funeral director anywhere, anytime. Once upon a time, in a kingdom called the $1 billion Australian Funeral Industry, there lived three animals. One animal, the elephant, ruled the kingdom for many years, using its mighty size to control the funeral marketplace and limit peoples choices. However, as people started living longer, getting smarter and searching for other funeral options, the other animals in the kingdom started to grow stronger and the elephant became considerably weaker. Although this 80’s style parable is an adaption of David Birch’s story of the American economy, it nevertheless provides an interesting analogy to the funeral industry here in Australia. So who are the animals in the Australian funeral industry? How did they evolve and what control do they have on the funeral marketplace? The elephant of the funeral industry is InvoCare (ASX:IVC). InvoCare Limited was created in 2001 as part of a divestment by Service Corporation International who sold an 80% stake of their Australian funeral division to a consortium led by Macquarie Bank. In 2003 InvoCare Limited was floated on the Australian Securities Exchange. InvoCare is the largest funeral operator in Australia and New Zealand. It currently operates over 270 locations and 16 cemeteries/crematoria with a current turnover of approximately $400 million a year. InvoCare has 3 national funeral brands (White Lady Funerals; Simplicity Funerals; and Value Funerals) and over 33 regional funeral home brands in different states across Australia. InvoCare has more than 34% overall share of funeral markets in which it operates – which means that if you’ve ever searched for a funeral director, you’ve probably come across one of their funeral brands. Although the names on signs outside funeral homes are well known, the revenues and profits from them flow to corporate shareholders. Propel Funeral Partners (ASX:PFP) is the biggest gazelle in the funeral industry. There are other gazelles like Tobin Brothers and Allison Monkhouse, but they don’t compare to Propel. Propel Funeral Partners was established in FY12 and is now the second largest private provider of death care services in Australia and New Zealand. Propel was founded and is managed by Propel Investments Pty Ltd. The company listed on the Australian Stock Exchange in late November 2017 as it sought to emulate the elephant by buying up smaller family owned funeral homes. Propel own funeral homes, cemeteries, crematoria and related assets in Queensland, New South Wales, Victoria, Tasmania, South Australia, Western Australia and New Zealand. Propel performed over 10,000 funeral services in FY18 and the Company’s portfolio currently comprises 108 locations (54 freehold and 54 leasehold) in Australia and New Zealand, including 24 cremation facilities and 7 cemeteries. It’s recent acquisitions include Seasons Funerals in Western Australia and Norwood Park in New South Wales, Newhaven Funerals in Queensland. The mice in the funeral industry include all the smaller independent funeral directors and new online funeral disruptors, like eziFunerals. Although, the mouse may be small, they aren’t mousy. They’re not meek. They’re family, locally run businesses. Independent funeral homes are often run by families, and (being part of a smaller, close-knit team) even unrelated staff tend to become honorary family members. Their focus is on service. Independent funeral directors are usually prepared to go that bit further to help a family in need because they are not constrained by profit-driven targets set by management and shareholders. They are more focused on looking after families during a difficult time. They have close community links. Independent funeral homes will also know the area they operate in have close links with the community. Most independent funeral homes are already deeply invested in the community, often getting involved in fundraising for local charities. The monopolisation of any marketplace can be a nasty thing for consumers, especially when they are most vulnerable. In a market economy, monopolies are able to demand higher prices for their service because they have limited competition. They can become immensely powerful and use this power and economies of scale to further benefit themselves and gain even more power. They have the ability to continually increase prices and generate vast profits for shareholders. Yet, innovation can come to any sector, even the funeral industry. In our recent blog ‘Independent Funeral Homes Grow Market Share’ [28 December 2018], we discussed why a more informed consumer, an increase in funeral shopping and the rise of modern, creative funeral directors has resulted in a shift in funeral volumes to smaller independent funeral homes. In the UK [The Conversation 5 February 2019] we are also seeing a strong community response to the rising costs of funerals by the large funeral chains. Like the movie “Dumbo”, the image of an elephant cowering from a tiny mouse nibbling at their feet (and taking away market share) is becoming reality. The mice may start out slowly and steadily, and face unfair competition, but a more informed consumer is changing the funeral marketplace in Australia.